Versatile, transportable and easy to clean. Super versatile and easy to clean, you’ll wonder why you ever used a traditional frying pan! 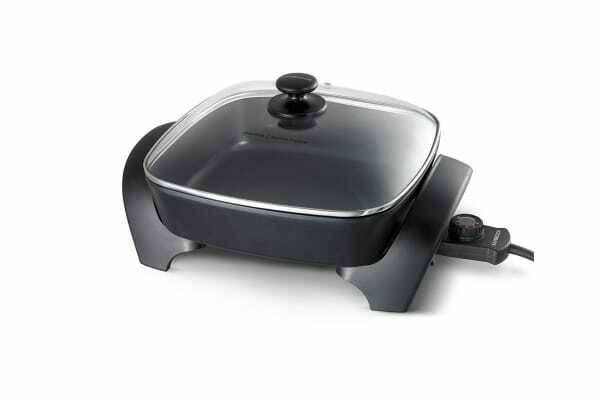 Stir-fry, shallow fry, cook rice, saute, slow cook and even roast all from this one efficient appliance. 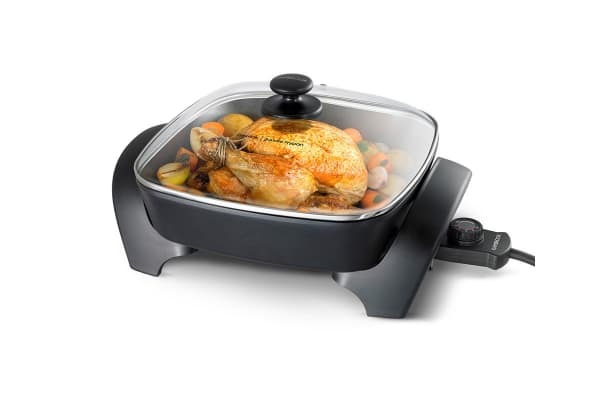 The adjustable temperature controls help to ensure perfect result every time, and the glass lid allows you to monitor your cooking without losing any heat. Cook everything from a basic omelette to a whole roast dinner, and utilise the included recipe book for more fantastic meal ideas.